​This week is aimed at tennis families who may have different holiday requirements. 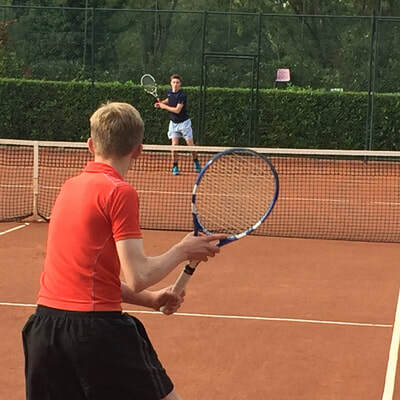 Like all of our Tuscan Tennis Holidays we aim to provide more than just a tennis holiday which allows all the family to get what they want i.e. more tennis or more holiday! 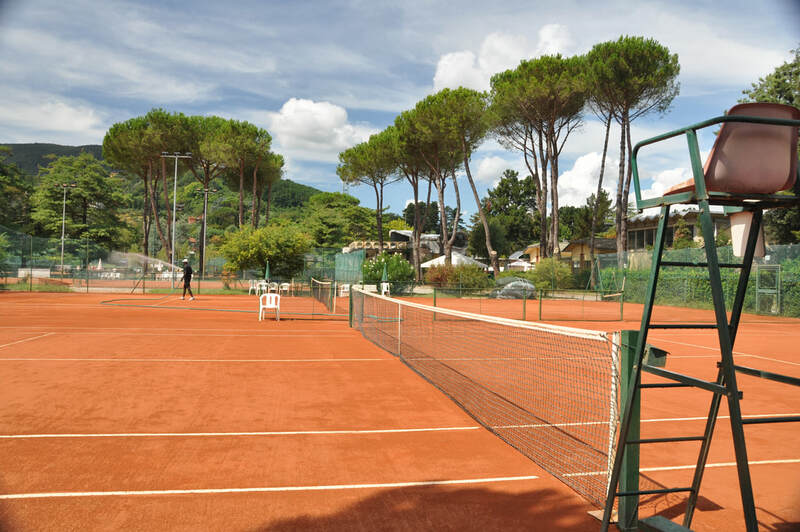 Outwith tennis you are in the wonderful location of Lucca which means you can spend some time cycling around it's walls, visiting the marble mountains of Carrara, seeing the world famous leaning tower of Pisa, spending time on the beach in the Versilia area, or enjoying cooking courses at your villa etc etc. Plus you will have the opportunity to eat wonderful Italian food in many of the local restaurants that your host Gabriella will recommend and even take you to! Coach Gabriella Testa, who has worked with TTH for over 20 years will host this week along with a team of experienced Italian coaches (English speaking). 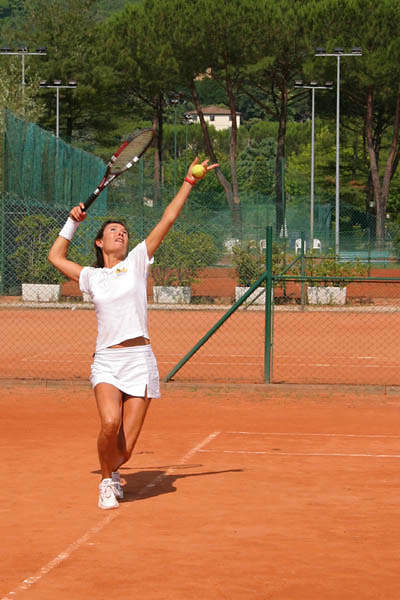 After studying medicine for 3 years at university, Gabriella decided to opt for a career in tennis and established herself on the Tuscan circuit. She now holds the highest coaching qualification in Italy (Maestro) and has worked with Tuscan Tennis since 1994, establishing a great rapport with many of our clients. Gabriella has no end of talents including being a qualified sub acqua instructor and has just recently gained a diploma in Gestalt psychotherapy. Gabriella is much more than just a tennis coach! On Monday, Tuesday and Thursday afternoons you will have the option of exploring Lucca, Pisa, the marble mountains of Carrara or even do a cooking course. On Wednesday there will be an escorted trip with Gabriella to the coastal area of Versilia. Gabriella will help show you the way to the beach resort of Bagno Nilo in Lido di Camaiore (Versilia) where you can experience summer the Italian way! After relaxing at the beach from mid morning onwards you can enjoy a lovely lunch at the beach front restaurant (all included). After lunch more swimming/relaxing at the beach or the kids can enjoy the inflatable water park just a short swim out from the beach. 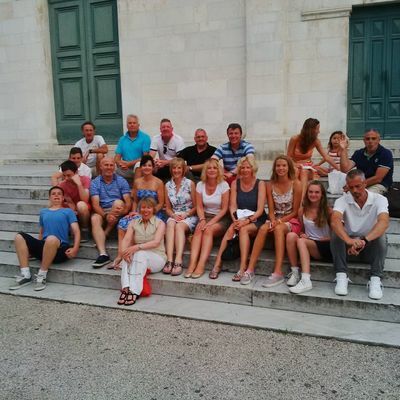 Late afternoon there will be the option to visit the beautiful hilltop town of Pietrasanta (again with Gabriella) where you can enjoy shopping, art galleries, street entertainment and wonderful dining in a family friendly atmosphere (cost of meal not included). Or if you would like a more traditional Tuscan experience you can choose to stay at Villa Orsi, which is set in beautiful Tuscan countryside in the lovely town of Pieve di Compito just a 15 minute drive from the club. Villa Orsi comprises 3 properties - Casa Camelie, Casa Nuova or Casa Colonica. Costs including all tennis activities (see what's included below) but excluding flights & car hire. Children are up to & including 14 years of age. Video analysis on the Sunday morning (10.00 – 12.00) plus mix in. 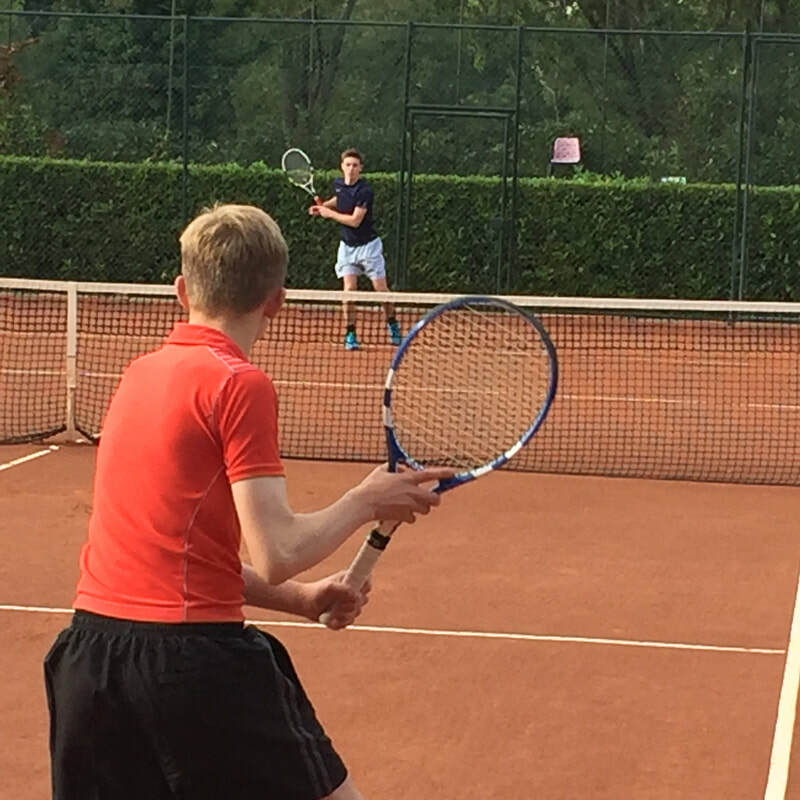 Use of the tennis club facilities which include 7 floodlit clay courts, 1 artificial grass court, a beach tennis court, 2 swimming pools and a bar/restaurant.